Summer is ending and fall is just around the corner. Preparing your home for the fall season now will help your home fare better when the colder weather comes. Now is the time to get your home ready both inside and out. There are a few important items you should add to your to-do list for the interior and the exterior of your home. Check the outside of your home for any roof damage or missing shingles. Get them replaced or fixed soon before the cooler weather comes. Also, check your siding and foundation for any cracks or holes. If there are any, be sure to fill them in so they don’t get any worse. You can always hire a home inspector to perform an inspection for you, especially if you don’t feel comfortable inspecting the roof. Inspect your gutter system to be sure there aren’t any dips, bent channels, or breaks in the line. If repairs are in order, get them done now before the colder weather sets in. If you own a two-story home, consider having gutter protectors installed to prevent falling leaves and other debris clogging the line. Now is the time to clean the gutters so that they won’t overflow once leaves and precipitation land in them this fall and winter. 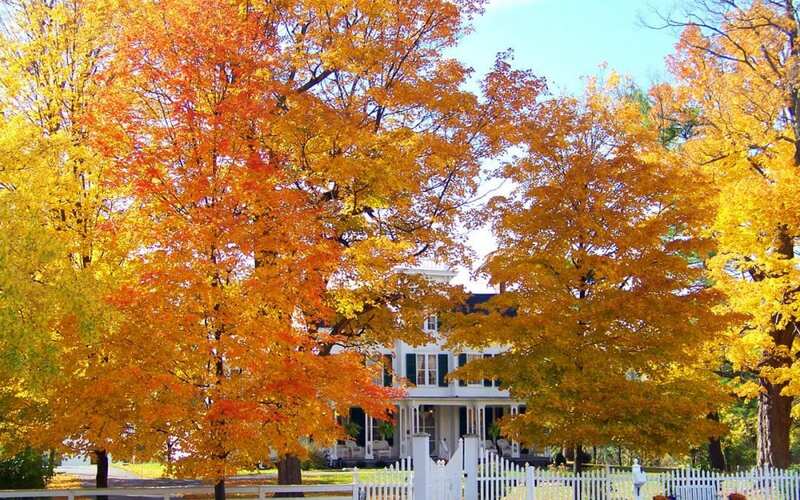 Preparing your home for the fall season includes getting your yard ready. Rake up and remove any leaves and trim bushes. Also, check your tree limbs and trim any that are too close to the house or garage. Put away the garden hoses if you live in colder climates. Winter freezing can damage them, so it’s best to put them in storage until the next year. Now that you’ve completed the exterior, it’s time to move to the inside and get it ready for the fall season there too. The best time to get everything inspected and repaired is before fall hits, so get out your checklists and let’s get started. If you live in cooler temperatures, you will need your furnace working in tip-top shape. The last thing you want to happen is for your furnace go out on one of the coldest days or nights of the winter. Test out your furnace, change the filter, and have it serviced so it’s ready to go for the fall season. Another item to get done and check off your list is inspecting your windows and doors for drafts. Take care of any drafty areas with caulking, seals, or weather stripping. That way when winter rolls around, the cooler air stays outside and your furnace will work more efficiently. Preparing your home for the fall season should also include your smoke alarms and carbon monoxide detectors. Since these are important for your safety, test them, replace the batteries if needed, and inspect them to be sure they’re clear of dust. Getting your home ready for the fall season will help your home perform better during the cooler months. Doing these tasks now will save you time and possibly money later on in the year. By preparing your home for the fall season early, you’ll rest easy knowing your home is ready for the upcoming weather. Home Guard Inspections offer home inspection services including maintenance inspections for homeowners to Bismarck-Mandan and the surrounding area. Contact us to schedule your appointment.